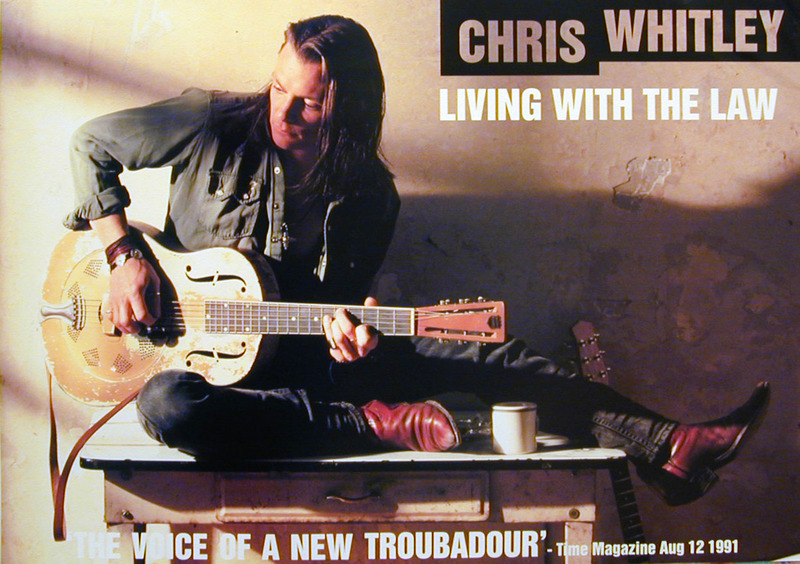 The primary purpose of this blog is evident from its title: To share, to preserve, and to examine the musical legacy of Chris Whitley. Best known for his 1991 debut album, Living with the Law, Whitley produced an astonishingly diverse array of music until his untimely death (from lung cancer) in November 2005. 1. Discover Whitley’s pre-LWTL musical development on the Noh Rodeo Facebook page. 2. 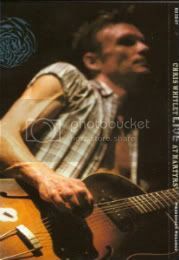 Check out the official legacy Chris Whitley website. 3. Listen to Whitley bootlegs on the Live Music Archive. 4. Join the Chris Whitley group on Facebook. 5. Watch videos on YouTube. karen kuehn, a good photographer who lived and worked in tribeca(nyc) ate regularly at the exterminator chili company nearby. on one particular night she heard chris perform there. she was impressed and introduced him to her friend dan lanois. chris shared this. he never once distorted or exaggerated the truth to me. Thanks for reminding me of the real story, Jerry. As it turns out, I had purchased some artist’s proofs from Karen a couple years ago to send to Maarten and Hiroshi, the long-time fans who shared so many CW treasures with me. During our transaction, I asked Karen to tell me a bit about Chris. This is what she replied: “I took that pick in a room full of Santarios in NYC.